Amy Zarzeczny is an Associate Professor with the Johnson Shoyama Graduate School of Public Policy, University of Regina campus. After completing law school at the University of Alberta, she clerked for Alberta’s Court of Queen’s Bench and Court of Appeal and practiced law with the firm of Reynolds, Mirth, Richards & Farmer LLP in Edmonton, Alberta. 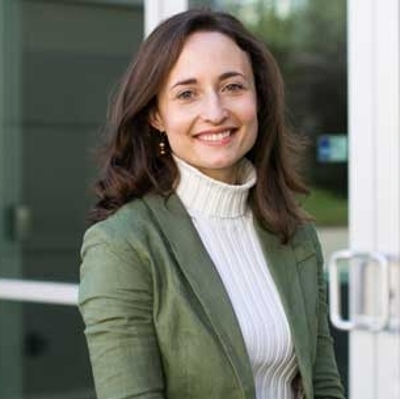 Zarzeczny subsequently obtained her Master of Laws from the London School of Economics and Political Science, following which she held an Academic Trust appointment as a Research Associate with the University of Alberta’s Health Law Institute. Zarzeczny later served as Crown Counsel with the Ministry of Justice and Attorney General of Saskatchewan in the Policy, Planning and Evaluation Branch. She is an External Research Fellow with the University of Alberta’s Health Law Institute and a pro bono member of the Law Society of Saskatchewan. Her research focuses on health law and health policy issues including, in particular, legal, bioethical and policy challenges associated with emerging biotechnology, unproven and experimental medical interventions and medical tourism. Her research has been funded by CIHR, Genome Canada, the Saskatchewan Health Research Foundation and the Stem Cell Network. Zarzeczny also has a strong interest in health care administration and teaches courses in Health Law, Health Policy and Health Care Organization and Administration. “Canadian National Transplant Research Program”, CIHR Program Grant in Transplantation Research Grant Competition, 2013-18 - Co-Applicant. “Leveraging Social Media in the Stem Cell Sector: Improving Public Engagement and Information Dissemination Strategies”, Stem Cell Network Public Policy Impact Grant, 2014-15 – Role: Co-Principal Investigator. "An Examination of Professional Regulation's Role in Addressing Physician Involvement in Stem Cell Tourism", Stem Cell Network Public Policy Impact Grant. 2012-13 – Role: Project Lead & Principal Investigator. Amy Zarzeczny, Harold Atkins, Judy Illes, Jonathan Kimmelman, Zubin Master, Julie M. Robillard, Jeremy Snyder, Leigh Turner, Patricia Zettler, Timothy Caulfield, “The Stem Cell Market & Policy Options: A Call for Clarity” (2018) Journal of Law and the Biosciences https://doi.org/10.1093/jlb/lsy025. Daniel Béland & Amy Zarzeczny, “Medical tourism and national health care systems: an institutionalist research agenda” (2018) 14:68 Globalization and Health https://doi.org/10.1186/s12992-018-0387-0. Ubaka Ogbogu, Amy Zarzeczny, Jay Baltz, Patrick Bedford, Jenny Du, Insoo Hyun, Yasmeen Jaafar, Andrea Jurisicova, Erika Kleiderman, Yonida Koukio, Bartha Maria Knoppers, Arthur Leader, Zubin Master, Minh Thu Nguyen, Forough Noohi, Vardit Ravitsky and Maeghan Toews, “Research on Human Embryos and Reproductive Materials: Revisiting Canadian Law and Policy” (2018) 13(3) Healthcare Policy doi:10.12927/hcpol.2018.25401. Blake Murdoch, Amy Zarzeczny, Timothy Caulfield, “Exploiting science? A systematic analysis of complementary and alternative medicine clinic websites’ marketing of stem cell therapies” (2018) 8(2) BMJ Open e019414. doi:10.1136/bmjopen-2017-019414. Amy Zarzeczny & Kathleen McNutt, “Wicked Policy Issues in Regenerative Medicine & the Need to Explore New Avenues for Public Engagement” (2017) 12(7) Regenerative Medicine 749-752. Kathleen McNutt & Amy Zarzeczny, “Leveraging Social Media in the Stem Cell Sector: Exploring Twitter’s Potential as a Public Information Campaign Tool” (2017) 12(7) Regenerative Medicine 753-764. Judy Illes, Erika Kleiderman, Douglas Sipp, Shelly Benjaminy, Rosario Isasi, Geoff Lomax, Zubin Master, Jennifer McCormick, Ubaka Ogbogu, Vardit Ravitsky, Julie Robillard, Fabio Rossi, Brenda Wilson, and Amy Zarzeczny, “A Blueprint for the Next Generation of ELSI Research, Training, and Outreach in Regenerative Medicine” (2017) Regenerative Medicine 2 DOI: 10.1038/s41536-017-0026-z. Douglas Sipp, Timothy Caulfield, Jane Kaye, Jan Barfoot, Clare Blackburn, Sarah Chan, Michele De Luca, Alastair Kent, Christopher McCabe, Megan Munsie, Margaret Sleeborn-Faulkner, Jeremy Sugarman, Esther van Zimmeren, Amy Zarzeczny, John E. Rasko, “Marketing of unproven stem cell-based interventions: A call to action” (2017) Science Translational Medicine 9(397) DOI: 10.1126/scitranslmed.aag0426. Tim Caulfield & Amy Zarzeczny, “Curbing transplant tourism: Canadian physicians and the law” (2016) Canadian Medical Association Journal DOI: 10.1503/cmaj.160497. Jeremy Snyder, YY Chen, Krystyna Adams, David Birch, Timothy Caulfield, Glen Cohen, Valorie Crooks, Judy Illes, Amy Zarzeczny, “Navigating Physicians’ Ethical and Legal Duties to Patients Seeking Unproven Interventions Abroad” (2015) 61(7) Canadian Family Physician 584-586. Amy Zarzeczny, “Saskatchewan Joins British Columbia in Introducing an Immunize or Mask Policy”, (2015) 3(1) Health Reform Observer DOI: http://dx.doi.org/10.13162/hro-ors.v3i1.2435. Timothy Caulfield, Kalina Kamenova, Ubaka Ogbogu, Amy Zarzeczny et al. “Research Ethics and Stem Cells: Is It Time to Re-Think Current Approaches to Oversight?”, (2015) 16(1) EMBO Reports 2-6. Amy Zarzeczny & Marianne Clark, “Unproven Stem Cell-Based Interventions & Physicians’ Professional Obligations; A Qualitative Study with Medical Regulatory Authorities in Canada”, (2014) 15:75 BMC Medical Ethics doi:10.1186/1472-6939-15-75. Timothy Caulfield & Amy Zarzeczny, “’Defining “Medical Necessity’ in an Age of Personalized Medicine: A View From Canada”, (2014) 36(9) BioEssays 813-817. Amy Zarzeczny, Timothy Caulfield , Ubaka Ogbogu, et al. “Professional Regulation -Potentially a Valuable Tool in Responding to ’Stem Cell Tourism’”, (2014) Stem Cell Reports DOI: 10.1016/j.stemcr.2014.06.016. Daryl Pullman, Amy Zarzeczny & André Picard, “Media, Politics and Science Policy: MS and Evidence from the CCSVI Trenches” (2013) 14(6) BMC Medical Ethics doi:10.1186/1472-6939-14-6. Zubin Master, Amy Zarzeczny, Christen Rachul & Timothy Caulfield, “What’s Missing: Discussing stem cell translational research in educational information on stem cell ‘tourism’” (2013) 41(1) Journal of Law, Medicine and Ethics 254-268. Timothy Caulfield, Christen Rachul & Amy Zarzeczny, “The Evolution of Policy Issues in Stem Cell Research: An International Survey” (2012) 8(4) Stem Cell Reviews and Reports 1037-1042. Timothy Caulfield, Amy Zarzeczny & the Toronto Stem Cell Working Group, “Stem Cell Tourism and Canadian Family Physicians” (2012) 58(4) Canadian Family Physician 365-368. Amy Zarzeczny & Timothy Caulfield, “Legal Liability & Research Ethics Boards: The Case of Neuroimaging and Incidental Findings” (2012) 35 International Journal of Law and Psychiatry 137-145. Christen Rachul & Amy Zarzeczny, “The Rise of Neuroskepticism” (2012) 35 International Journal of Law and Psychiatry 77-81. Timothy Caulfield, Christen Rachul, Amy Zarzeczny & Henrik Walter, “Mapping the Coverage of Neuroimaging Research” (2010) 7(3) SCRIPTed 421-428. Amy Zarzeczny, Christen Rachul, Matthew Nisbet & Timothy Caulfield, “Stem cell clinics in the news” (2010) 28 Nature Biotechnology 1243-1246. Timothy Caulfield & Amy Zarzeczny, “Popular Culture Representations of Science: Views from the Canadian Stem Cell Research Community” (2010) 6 Stem Cell Reviews and Reports 337-339. Christen Rachul, Amy Zarzeczny, Tania Bubela & Timothy Caulfield, “Stem Cell Research in the News: More than a Moral Status Debate?” (2010) 7(2) SCRIPTed 311-323. Timothy Caulfield, Christen Rachul & Amy Zarzeczny, “‘Neurohype’ and the Name Game: Who’s to Blame?” (2010) 1(2) American Journal of Bioethics Neuroscience 13-15. Amy Zarzeczny & Timothy Caulfield, “Stem Cell Tourism & Doctors’ Duties to Minors” (2010) 10(5) American Journal of Bioethics 3-15. Timothy Caulfield, Christopher Scott, Insoo Hyun, Robin Lovell-Badge, Kazuto Kato & Amy Zarzeczny, "Stem cell research policy and iPS cells" (2010) 7(1) Nature Methods 28-33. Amy Zarzeczny, Christopher Scott, Insoo Hyun, et al., "iPS Cells: Mapping the Policy Issues" (2009) 139(6) Cell 1032-1037. Timothy Caulfield, Amy Zarzeczny, Jennifer McCormick, et al. “The Stem Cell Research Environment: A Patchwork of Patchworks” (2009) 5(2) Stem Cell Reviews and Reports 82-88. Amy Zarzeczny & Timothy Caulfield, “Emerging ethical, legal and social issues associated with stem cell research and the current role of the moral status of the embryo” (2009) 5(2) Stem Cell Reviews and Reports 96-101. Amy Zarzeczny, “The Role of Regulation in Healthcare – Professional and Institutional Oversight”, in Canadian Health Law and Policy, 5th Ed. Erdman, J., Gruben, V., Nelson, E. eds. (LexisNexis, 2017). Amy Zarzeczny, Christen Rachul & Timothy Caulfield, “The Phenomenon of Stem Cell Tourism”, in Progenitor and stem cell technologies and therapies: Principles and Issues (Vol 1), Atala, A. ed. (Woodhead Publishing, 2012), pp. 206-233. Ciara Toole, Amy Zarzeczny & Timothy Caulfield, “Research Ethics Challenges in Neuroimaging Research – A Canadian Perspective”, in International Neurolaw – A Comparative Analysis, Spranger, T.M. eds. (Springer, 2012), pp. 89-102. Amy Zarzeczny & Timothy Caulfield, “Public Representations of Neurogenetics”, in Oxford Handbook of Neuroethics, J. Illes and B.J. Sahakian eds. (Oxford University Press, 2011), pp. 715-728. Ubaka Ogbogu & Amy Zarzeczny, “Effects of commercialisation on public opinion and trust of stem cell research“, in Translational Stem Cell Research: Issues Beyond the Debate on the Moral Status of the Human Embryo, Hermerén, G., Hug, K. eds. (Springer Humana Press, 2011), pp. 341-364. Tracey Bailey, Amy Zarzeczny & Timothy Caulfield, “Genetics and the Law”, in Canadian Health Law Practice Manual. (LexisNexis Canada, 2010). Bartha M. Knoppers, Ubaka Ogbogu, Vardit Ravitsky, Amy Zarzeczny, Rosario Isasi, Tania Bubela, Erika Kleiderman, Consensus Statement: Gene Editing, Genetic Testing and Reproductive Medicine in Canada, December 2017, Stem Cell Network website: https://stemcellnetwork.ca/consensus-statement/. Amy Zarzeczny, “Physician-assisted dying in Canada: Where do we stand after the Supreme Court’s Decision in Carter v. Canada?” (2015) Policy Brief (August): http://www.schoolofpublicpolicy.sk.ca/briefs/2015.08.18_JSGS-policybriefs-Assisted-Dying_WEB.pdf. Maeghan Toews, Sonja Zoeller, Li Du, Amy Zarzeczny, “Inter-jurisdictional Comparison of Professional Regulations as a Tool to Address the Provision of Unproven Stem Cell Interventions” (2014) 22(3) Health Law Review 14-22. Amy Zarzeczny, “The CCSVI Wave Sweeps Saskatchewan” (2012) 4(1) Western Policy Analyst 1-4. Amy Zarzeczny, “Legal Policies Steer Direction of Stem Cell Research” (2009) 28(48) The Lawyers Weekly 15-16.